Planet Hell: Now Playing - "Now your job is finish." Sunday, and time for another Now Playing post. =p I kinda like having things like this set to a certain day. Makes it slightly easier to manage, and prepare in time. Anyways, enough of my thoughts. So this week, my Final Fantasy Challenge more or less fell to pieces. I had set out aims for the final 2 games in my head, and put them up on my Backlog page. I was aiming to beat both by the time FFXIII hits in March. So I was away last weekend at my grampa's place up north for his birthday and obviously didn't get a chance to play any more of Final Fantasy X during the weekend. Which I wasn't too bothered about, since I was right at the end stages anyway, and figured I'd only need an hour or so more to beat the game. And its kinda putting me off playing games in general, this whole FFX thing, since I don't particularly like the game that much, and just want to finish it so I can move on to FFXII. I mean, gaming should be about enjoying games, having fun in my opinion, not having to force yourself to play them. Which is kind of the case now. I reckon I would have enjoyed the game more if I hadn't had such a harsh self-imposed time constraint on finishing it. If I had maybe taken more time and done some of the sidequests it might be easier, I guess I can always still do them. I'm still not entirely convinced if I like the game that much..the characters annoy me to the very end, as does the voice acting. Even in the final cutscenes before the boss, at such a crucial place, it seems not quite up to scratch. Check up on youtube. I wanted something that I know I enjoy, so where better to look than Castlevania, one of my favourite series. I recently shelled out a fair chunk of money for the Castlevania: Symphony of the Night PAL collector's edition that comes with the soundtrack and artbook (and is worth quite a bit.) So I thought I'd stick it on, I REALLY like SOTN. The first time I played it was on the PSP-the version that comes squished into the rather awesome compilation Castlevania: The Dracula X Chronicles, which I'd definitely recommend. 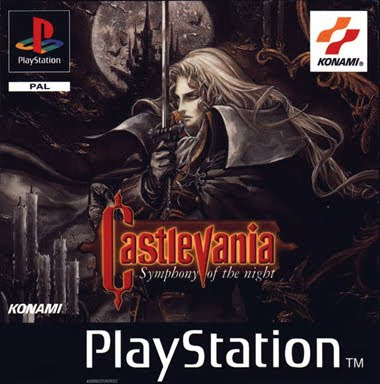 Since I played it then, I really liked it (in fact, I've always been a fan of the metroidvania Castlevania games) and always kind of wanted the true original version of Symphony of the Night, or Akumajō Dracula X: Gekka no Yasōkyoku​ (悪魔城ドラキュラX 月下の夜想曲, officially translated as Devil's Castle Dracula X: Nocturne in the Moonlight. So now that I finally have it, I'm loving it! Getting to play it on a decent sized screen, with better audio output really gives it what it deserves. I dunno what they were thinking when they ported it onto the Dracula X Chronicles UMD. For some reason they put a border around it so it didn't quite fit the whole screen. Sure, you can fiddle with the settings a bit, with the option to customise the size and background image from a select few, but it probably would have been better in my opinion to maximise the usage of the PSP's decent sized handheld screen. Anyway, enough of my pedantry. The music in this game is absolutely amazing, Castlevania games are well known for their scores, and this one has a lot of my favourite songs. Michiru Yamane, who has worked on a lot of the Castlevania games, I feel really has done well with this soundtrack. She composed the majority of the songs on the OST. Seriously, I can't praise this game enough, it is both amazing visually and in terms of audio. (Perhaps with the exceptions of some of the English Voice acting, but hey, I can overlook that) Actually, now that I think about it, some of the scripting could be a bit tighter, but a lot of PSX era games had that problem, minor though it may be in my opinion. Whoa, I didn't mean to more or less review Symphony of the Night o.o That is an idea for the future though, if I get through the FFIX onwards reviews from my FF Challenge. So, if you are still reading, well done! You get a cookie because I went on much longer than I wanted to. Other than those games, I've been trying to finish off Dragon Quest: Hand of the Heavenly Bride (DS.) I managed to beat it on Saturday, after a rather scary trek through the end area. I went into the final battle massively unprepared-I hadn't saved in ages, and forgot to take a lot of the decent items out of the bag for use in battle. Somehow I managed it though, it was one of those cases when all my MP was almost out on all my characters, so if it went on much longer I wouldn't have been able to survive for much longer. I really enjoyed the game, probably the only bit I didn't really like was marriage bit. Seems so random and forced. I could only really choose Bianca since it seemed to make more sense than the other 2 who I didn't know. Real marriage doesn't work like that though...anyway, it was pretty cool how your kids inherit the power, and surpass you and your wife. Kinda DBZish, like Goku and Gohan. Hell, Parry even looks like Gohan due to the Toriyama character designs. Awesome stuff! 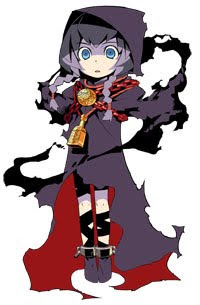 I picked up my Etrian Odyssey save again today, grinded a bit and did some more quests in the 1st stratum of the labyrinth. I can tell so far that I'll like this game if the difficulty doesn't get massively out of hand. I've heard it is brutal, and I do like some challenge but when it starts to get ridiculous, it can take the fun out of games. Oh, before I forget, I tried the Half-Minute Hero demo on PSN, its better than I expected. Its quite unique and has a good sense of humour. I'd recommend it from what I've seen.